An accumulator on each of the home sides in the six rugby union internationals on Saturday pays 68/1. The same bet on the away sides returns over 500/1 while for more speculative punters you can combine six draws for something ridiculous. Scotland are the biggest favourites at 1/12 to beat Japan at Murrayfield and you can back France at 7/2 to beat New Zealand in Paris. England are 1/8 and 14 point favourites in their match against Argentina at Twickenham. The number of rugby internationals has increased significantly over the last 26 years. The first rugby union World Cup took place in 1987, Italy joined the existing five nations for the first Six Nations in 2000 and autumn internationals are now a regular part of the calendar. In 1995 the first Heineken Cup tournament was staged which increased further the amount of high intensity rugby played by the better players. Rugby union is one sport that seems to take head injuries and concussion in particular seriously. There could never be a scenario in an international match in which a player and coach appear to defy medical opinion in allowing a seemingly concussed player to return to the pitch. The furore surrounding the Tottenham goalkeeper Hugo Lloris not only puts soccer in a bad light but shows the sensible approach taken in rugby to this matter in both codes. Clearly there is a demand for autumn internationals in Britain, especially against the Southern Hemisphere superpowers. The ease and convenience of global travel means a side like Australia can fly into Europe for a short tour before Christmas and then return to domestic rugby after a suitable period of recovery. South Africa are now regular visitors and they also play in an annual Tri-Nations tournament with Australia and New Zealand. The 2015 World Cup is being played in England and the hosts are now looking to build up a record at Twickenham that the World Cup winning squad did when not losing at home between 1999 and the World Cup four yeas later. That process began with a 20-13 win over Australia and should continue by a win of about 20 points against Argentina. Recent collateral form suggests this not beyond an England squad that is slightly weaker than this time last week due to injury absentees and a potential birth in the case of Ben Youngs. Of the 18 matches between England and Argentina England have won 13, lost 4 and there has been one draw. England’s best winning run is 4 matches. The home side’s best win was by 51 points and this is the most points they have scored in any match against Argentina. In internationals between the sides the respective tallies are 451 and 260 points. On average England have been 10.61 points better than Argentina in all matches between the countries. In the last three matches between the sides England have scored a total of 61 points and conceded 25, so the average winning margin over these fixtures is 12 points. However, they could only win by 7 points in the last fixture at Twickenham in 2009. England beat Australia 20-13 at home last weekend while the Aussies beat Argentina 54-17 away from home in October. Wales are 3 point underdogs and 2.37 in the outright betting to beat South Africa at the Millennium Stadium in Cardiff on Saturday. Since 2005 there have been 8 fixtures between these two countries and South Africa have won every match, including the last 5 in Cardiff. The most recent fixture in Wales was three years ago when the home side lost by just 4 points. Wales have won just 1 of the 26 matches against South Africa. In these fixtures the total points tally for the sides has been 715 to 367 in favour of South Africa. The average winning margin in the history of this fixture is more than 13 points. In June 1998 South Africa beat Wales 96-13 at home. More recently there was a 35 points margin between the sides in a match in 2004. Wales only win against South Africa was in 1999, a match played at the old Cardiff Arms Park. Wales have a great opportunity to beat South Africa for just the second time on Saturday. Fly-half Rhys Preistland is available for selection after missing every match in the title-wining Six Nations season. Flanker Dan Lydiate plays for the first time since the summer of 2012 after recovering from a serious ankle injury. 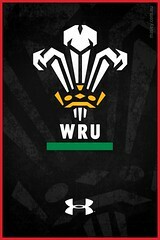 On balance this is a match that Wales can win and put down a marker for the next World Cup. Scotland and Ireland are clear favourites to win matches against Japan and Samoa respectively. In both cases conditions should favour the home side, each of which should win by 10 points or more. Scotland have only played Japan three times and have won each match. However, there is very little relevance in the 100-8 win in 2004. Japan have improved significantly since then by playing more internationals and although Scotland should beat them the margin of defeat will be far less decisive. Ireland last played Samoa in 2010. This was a home match and the margin of victory was 10 points and there is a similar expectation for Saturday’s fixture. Ireland’s average margin of victory over the five previous fixtures is 15 points. Samoa beat Ireland 40-25 in 1996 but have since lost each fixture between the sides, though Samoa recorded their best relative points tally in four losses in the most recent match. In other internationals Australia and New Zealand are both 11 point favourites in away fixtures against Italy and France. New Zealand are favourites to win the 2015 World Cup so an indication of their ability will come in the result against France. A double on both Australasian sides pays about 1/4 which could be buying money for a 25% return in 80 minutes of rugby. However, the match at Twickenham between England and Argentina will get most media attention especially if England can build on the defeat of Australia by wining the match by more than 20 points.